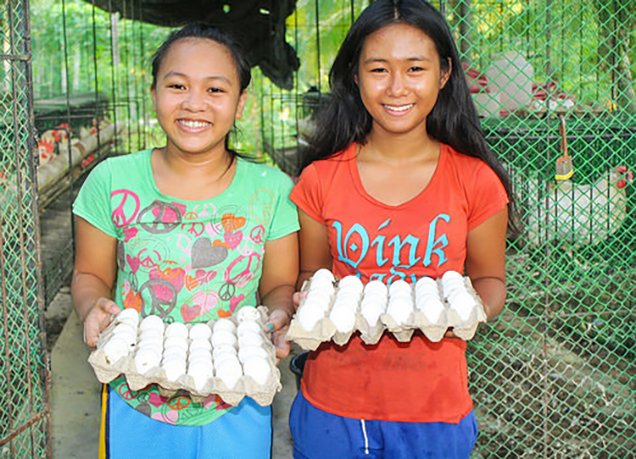 Photo: Students happy to show you a harvest of eggs yielded from our farmland enterprise! 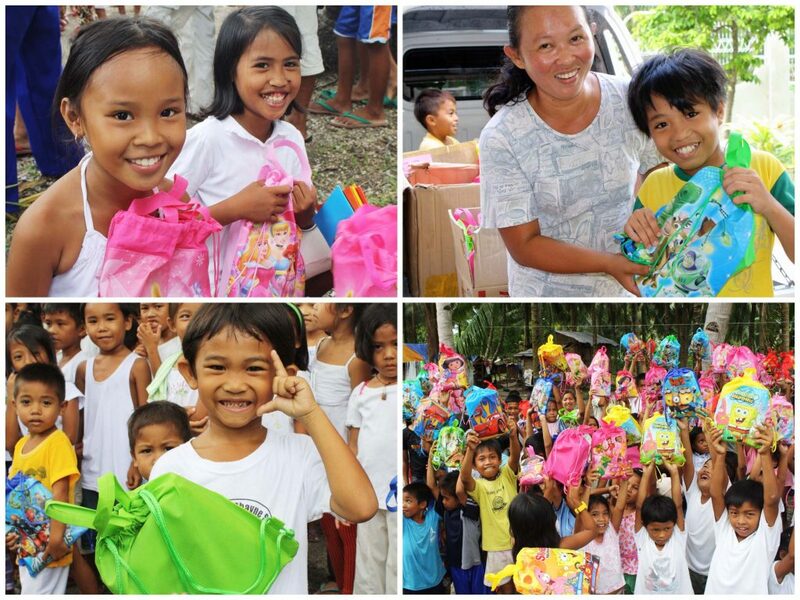 Thanks in part to profits from our farmland project, 400 impoverished children received backpacks and school supplies, enabling them to enroll for the start of the Filipino school year, which began this month. These school supplies are items their families could not afford — supplies they must have in order to attend local schools. The children and their parents were overcome with joy. In this story of “empowerment in action” from our Philippines team, we’re happy to report that these children are ready for school — children who would otherwise not be attending. Through our team’s continual efforts to reach the impoverished children of the island of Cebu over the past 10 years, they have come to know thousands of children on the island and as a result have identified the most at-risk. Our team reaches out to the children of the island through Saturday VBS-style day camps, providing a fun, enriching environment where the children learn songs, make crafts, and play group games. They’re also given basic hygiene supplies and taught how to brush their teeth. Sadly, 3 out of 4 children on the island experience advanced tooth decay. We’ve equipped our team with a hen house that produces over 24 dozen eggs a day, and a banana grove that yields over 6,000 bananas a year. It’s a humble beginning but it’s working — we’ve also recently completed a small-scale fishery at the farmland. The new concrete-lined pond holds a volume of approximately 20,000 gallons (75,000 liters) of fresh water pumped from our on-campus well. The fishery is located on our existing campus on Cebu. We believe that all of these efforts will help diversify and increase profits, empowering our local team to reach even more children.